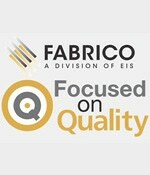 Quality | Fabrico, A Division of EIS, Inc.
Fabrico has a sophisticated quality program certified to ISO 9001:2008, which includes various aspects of production, including customer requirements, design documentation, vendors and materials, staff training, equipment maintenance, and production. Click here to take our customer satisfaction survey. The quality program is based on continuous improvement through process control. Fabrico consistently measures critical processes to determine performance levels and immediate corrective action is taken when process objectives are not consistently achieved. Quality processes for production include first article inspection to the AS9100 standard, PPAP, equipment set-up validation, and in-process/final part inspection. Inspection sampling plans are based on ANSI Z1.4. Where required, the same quality processes used in on-going production are also used in prototype production, ensuring a manufacturable prototype. Subassembly vendors are treated as extensions of the factory. Any subassemblies created by vendors using Fabrico CAD drawings undergo a first article inspection to the AS9100 standard to identify any programming errors. Ongoing periodic inspections using sampling plans for process control are also applied to vendor subassemblies. Materials suppliers are all either ISO 9001:2008 certified or have undergone Fabrico’s stringent vendor qualification process. Supplier quality systems must meet the mandates of the Fabrico Supplier Quality System Requirements document and supplier performance is tracked and monitored to ensure that only the best performers secure business with Fabrico. Suppliers are subjected to annual onsite quality system audits in an effort to “partner” with the supplier in meeting the demands of the customer. Fabrico offers a wide range of product design and engineering capabilities including custom die-cutting, rotary die-cutting, and a variety of custom fabrication services. For more information on Fabrico’s capabilities, please visit our services page or view our materials sheet.